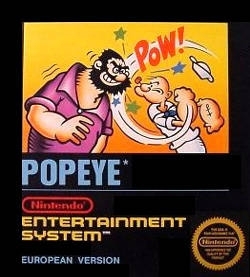 Popeye and Brutus are at it again in this video contest for Olive Oyl's affection. 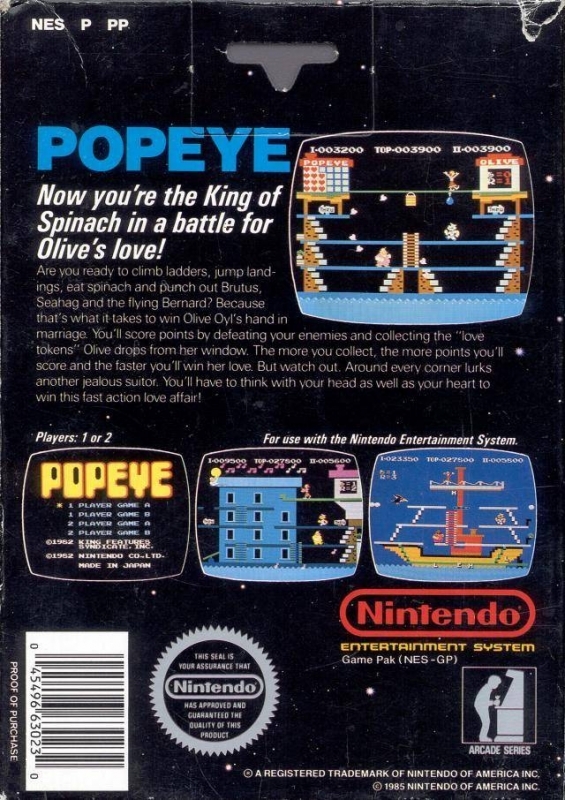 As Popeye, you must battle the likes of Brutus and the Sea Hag while you race to collect all of the floating hearts that Olive tosses to you. 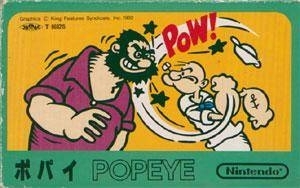 Once you have Spinach power, Popeye can conquer all, but without it, watch out! Source: the game's instruction manual. 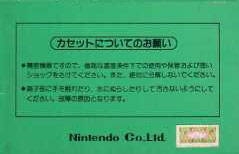 Ha, some of the NES games able to sell a million are just a bit silly.